A Few Interesting Custom Molding Facts | Bridgville Plastics Inc. Custom injection molding is one of the most effective ways to create plastic parts. 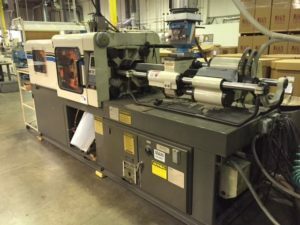 If you run a business that relies on plastic parts, you should consider putting custom molding to good use. Before you do, check out some fun facts about custom injection molding that will illustrate just how amazing it can be. When you create plastic parts using custom injection molding, the parts will come out exactly the way you want. In fact, custom injection molding is accurate to with .005” in most cases, which means you won’t have to worry about getting a bunch of parts you can’t actually use. All finished products will meet the requirements that are in place. It’s used to create a large amount of plastic parts quickly. One of the things companies love most about using custom injection molding is that it can create plastic products quickly. By utilizing custom injection molding, you can make hundreds and even thousands of parts in a short period of time, which means you can get access to those parts in no time. It’s cheaper compared to other options. When you machine plastic parts, it will usually cost as much as 25 times more to do it as compared to custom injection molding. The automatic process that comes along with custom injection molding keeps costs low. With custom injection molding, you only use the plastic you need during the manufacturing process. This cuts down on waste dramatically. And what little waste is created can be ground up and then recycled so it can be used again later. It’s why custom injection molding is such an eco-friendly way to produce plastic parts. Bridgville Plastics is considered to be one of the best plastic injection molding services and distributors in all of Michigan. Contact us at 269-465-6516 today to find out more about how custom injection molding can benefit you.